Due to its tremendous, colourful sound, the P 131 M1 piano from Petrof is classified as a concert instrument. It sets no limits on pianistic art, creating sufficient scope for its self-fulfillment. The instrument has a romantic, rounded sound which is typical of Petrof pianos. Only the finest European materials are used, as is assured by a European Excellence (EEX) certification. Nearly 80% of the manufacturing processes are done by hands of experienced workers in the family-run Petrof factory. Instruments are built mainly from components which are produced directly in the factory. This enables the best possible quality control. The Petrof company is considered a significant innovator in this industry, thanks to the experts of the technology centre in co-operation with the research and development department established in 1954. 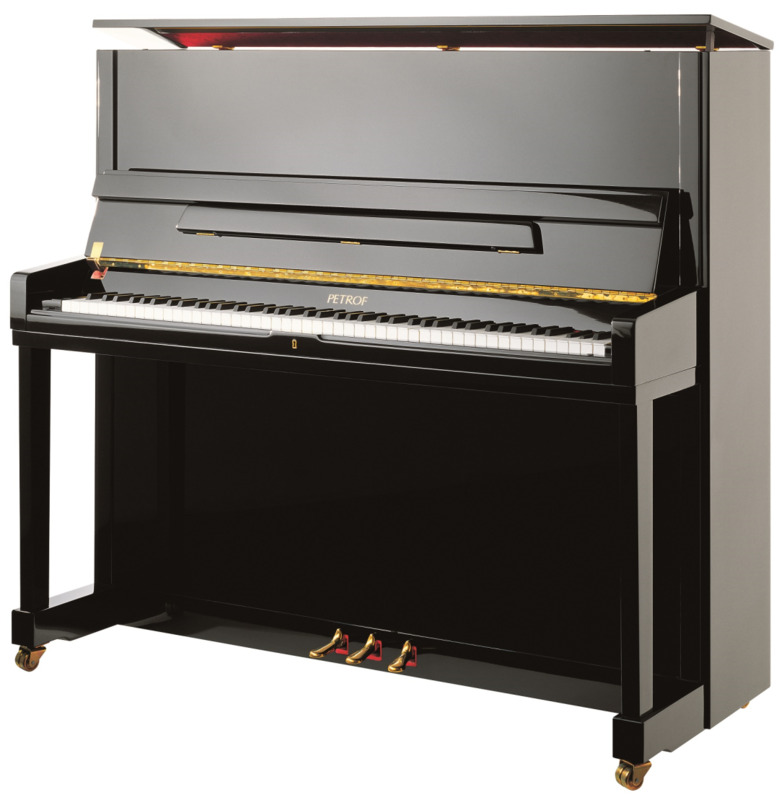 The P 131 M1 upright piano is a part of the highest-quality, master-built upright piano series. These are upright pianos with impressive sound potential, favoured by demanding professional pianists. They are suited not only to apartments and music schools, but also piano recitals within an orchestra or on different public stages. For the M1 model, the customer will obtain a modern lightweight body.